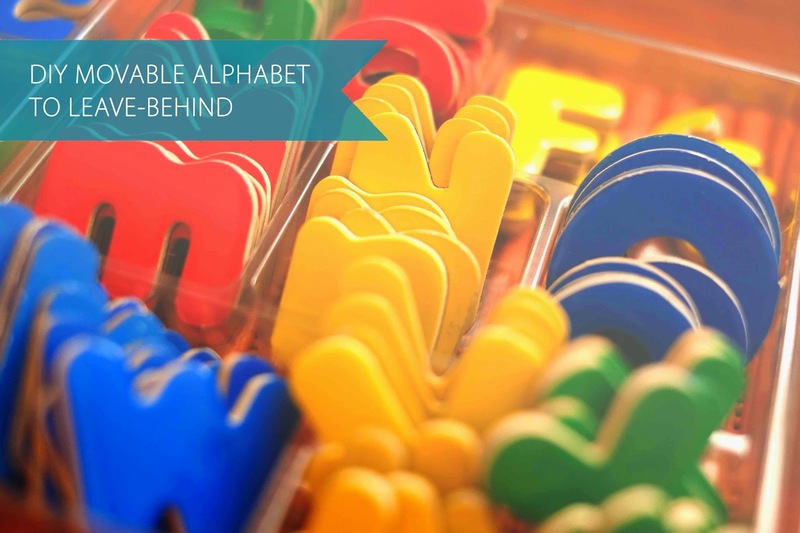 Our version of Montessori's movable alphabet is still going strong in our playroom shelf! It's one of my favourite leave-behind activities for Ladybug Girl to play with while I'm at the office. Want to see how we're continuing to use it? 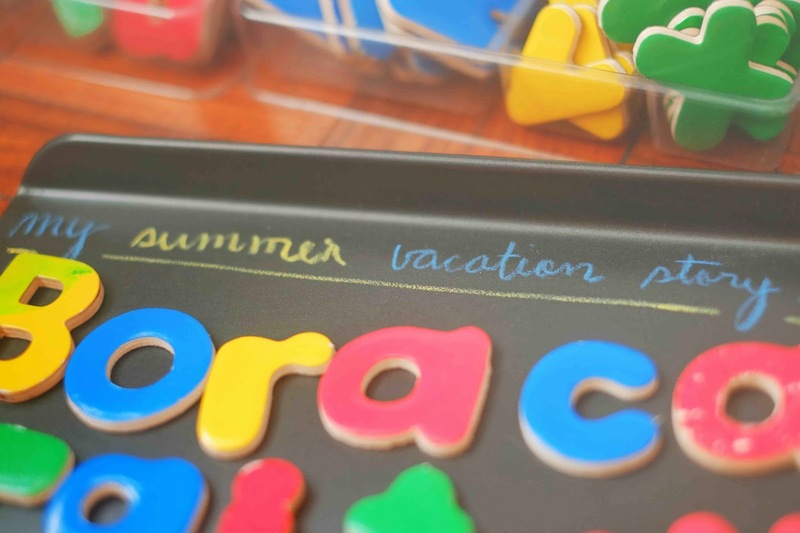 When she was three, I discovered by trial-and-error that a home version of the Montessori movable alphabet worked best for learning letter sounds in starting to make words. 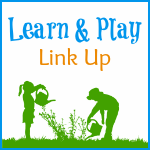 If you're new to this blog (*hello*) please see this post last year on super simple ways to get started at early preschool stage. 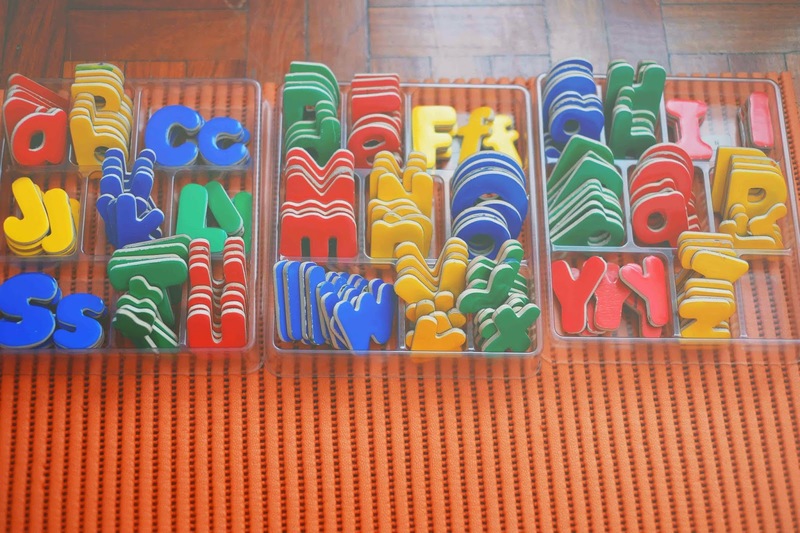 We're using the same DIY set I made more than a year ago: alphabet magnets in drawer organizers. And a cooking tray from the kitchen. In hindsight I would have used the cheaper plastic alphabet magnets available everywhere. 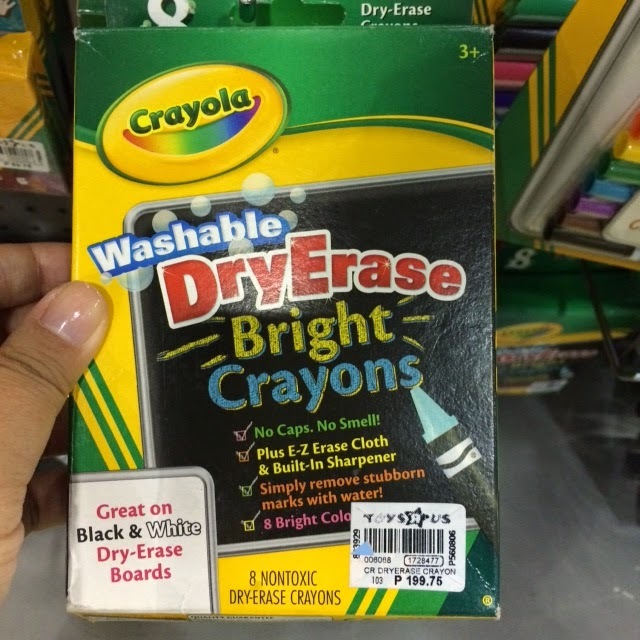 These Melissa and Doug magnets went from 550 pesos to 795 pesos in a single year - crazy profit! I put out a simple flashcard prompt at night and sometime during the next days she chooses the letters to make the word. Remember: don't correct the spelling unless asked! In Montessori they start correcting spelling at Grade 2. Here's another way to make word-making more sensorial while working on fine motor hand strength at the same time: use moon dough as a stamping pad. Moon dough doesn't dry up unlike play dough. I used PlayDoh letters and numbers set and set out a stamping 'pad' made out of moon dough over a small lid. "My favourite toys are:" invitation to make a list. 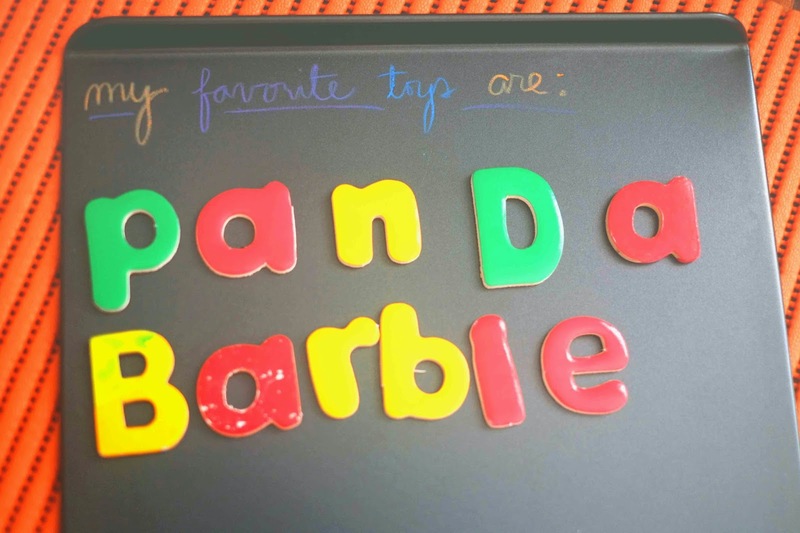 Adapt your words and handwriting to your child's skill level - example "I (heart) my toys:"
Notice the use of a big D instead of the small letter d? She keeps doing this because that's how she learned to write the D in her name and it's gone uncorrected. This made me realise that it's time to correct that one in her name, at least. Now in Toys R Us in Manila! No more hoarding these things in Singapore! 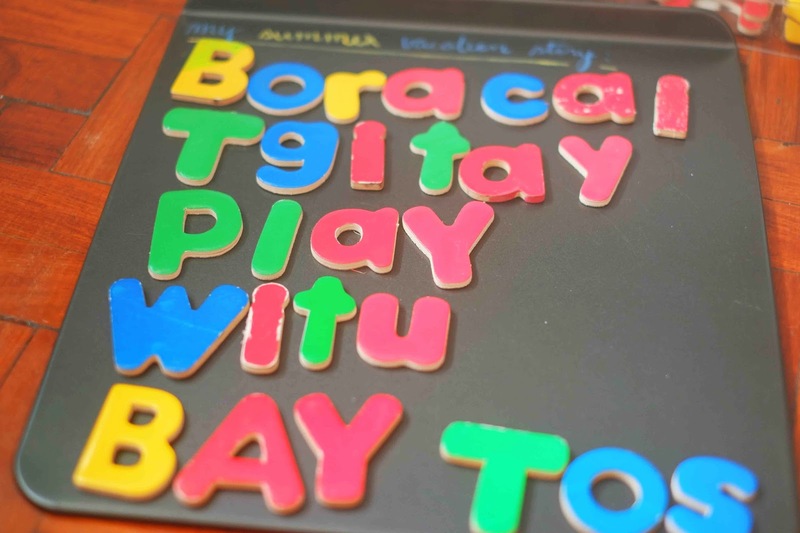 "Boracay, Tagaytay, Play, Write, Buy Toys" made for an interesting conversation after I got home from work. She says "write" as "writ-uh!" with a very strong T sound in the end : hence the spelling. For more DIY movable alphabet versions see Montessori Printshop's paper version here and Living Montessori Now's round-up of ideas here. One hundred years old - and a year into using this at home - it's still shiny and new. And now it's working-mom friendly too! Hi Jae! I eventually got four to be able to do lists but we started out with just two sets for one word or two. 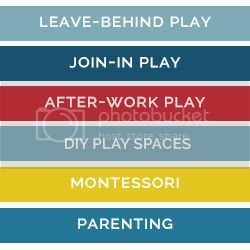 There are no Montessori shops in the Philippines that I know of, I'm afraid - at least on online searches, there aren't. My daughter's Montessori school has theirs specially made and some ordered from abroad. I think demand is not as obvious for these here (which is a shame because we'd be able to make them cheap!) 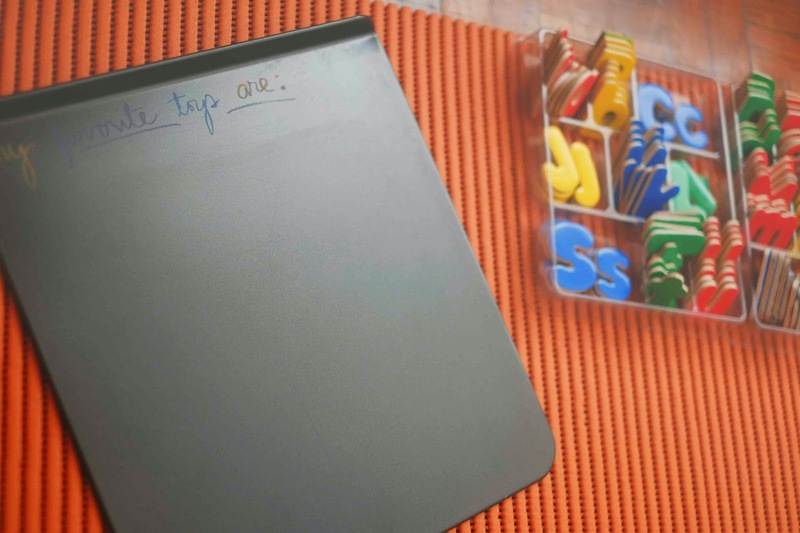 There's a homeschooling trend that I see but Montessori is not the curriculum that they follow. Hats off to you for homeschooling Mavi AND taking care of your new baby at the same time! Superwoman. This is great! I'm going to do our own set. Thanks for the tips! Thanks Shey! 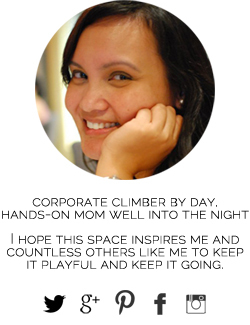 Feel free to email diycorporatemom.ph@gmail.com in case you have questions pa. Sorry I've been in a blackhole for the past month with a project at work! Hope homeschooling is going well! Hi! I bought two sets of the Melissa and Doug magnetic alphabet today. I would like to know where you found your drawer organizer. Also, how do you keep the letters in their correct compartments so they can be easily found? I was thinking of pasting a paper to the bottom of each with the upper and lowercase letter that belongs there. Right now I have them in muffin pans to organize them, but there are only 24 compartments. Hi Pamela! I found the drawer organisers at a local storage shop - I'm afraid I don't remember the brand! They were a hurried buy, cost a lot and I had to buy three just to make everything fit. I actually think the muffin pan as storage is a fantastic idea!! Maybe you could just make a division for the last two letters? I updated the post with a link to our small gallery of moveable alphabet posts so you can see how I set them up at the start. (There's also a link to this in the sidebar). I also used a label stuck to the bottom of each letter compartment. When stacked, the letters aren't perfectly facing upwards but it was okay. Eventually my daughter got used to the order of the letters. Have a great time setting up yours!